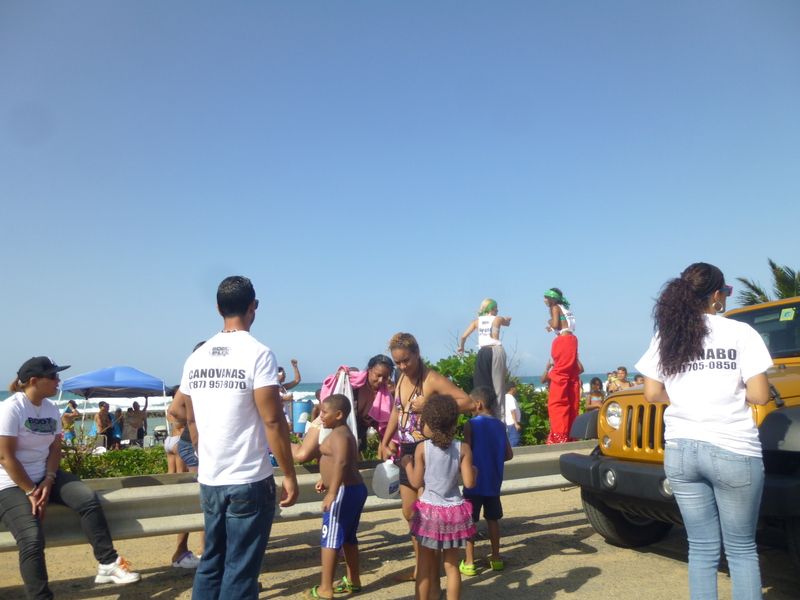 Many tourist guide books completely omit Loíza or tell you to avoid it because it’s too dangerous and poor. However, locals and adventurous tourists know that Loíza is the Afro-Caribbean soul of Puerto Rico and it’s worth a visit, especially on the weekend. Although it doesn’t have many tourist offerings, it has a rich culture and energy that you don’t find on other parts of the island. I’m told the town especially comes alive in late July, during its weeklong annual Festival of St. James. 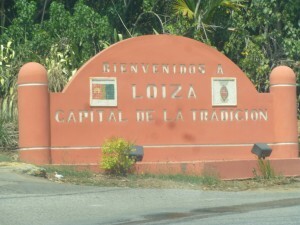 Loíza is located on Puerto Rico’s northeast coast, just a short 15-minute drive from San Juan. It was settled in the 16th century by freed and escaped Nigerian slaves from the Yoruba tribe and it retains the highest percentage of African descendants on the island. Their music and traditional food is woven into the Puerto Rican culture and can be found in all its splendor in Loíza. Local attractions include a nature boardwalk and bicycle path, the San Patricio Catholic Church (one of the oldest churches on the island), and the Maria de la Cruz Cave (where the oldest human remains recorded in Puerto Rico were found). 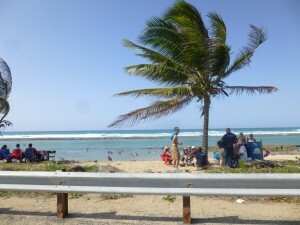 On my way to Loíza, I passed through Piñones, the beachfront community of kiosks (kioskos) and restaurants that sell a variety of Puerto Rican fried fritters (frituras) and street food. 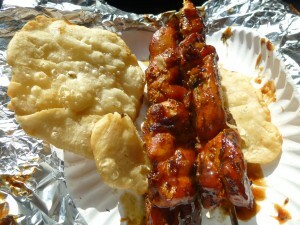 I stopped at the popular “Kiosko El Boricua” where I had chicken Pinchos (Puerto Rican shish kabobs). 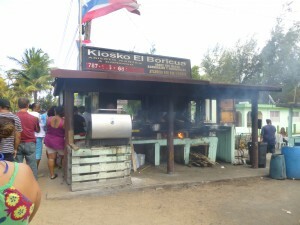 The cooks were decidedly of African descent and darker complected than other Puerto Ricans I’d seen on the island. But it was of no consequence, as people of all hues waited in the long line to place their order. It was a fun, friendly atmosphere as the DJ spun the latest Puerto Rican beats and the bar served ice cold beer. The various smells of grilled and fried food wafting through the air were heavenly. The traffic was heavy and I spent about an hour cruising the beach and taking in the sights and sounds. Bomba music with its strong drum beats (derived from the music of African slaves) and reggaeton could be heard blaring from beachfront speakers (several popular musical artists have their roots in Loíza, including Daddy Yankee and Don Omar). Stilt walkers (gigantes) danced around as people enjoyed the sun and beautiful beach views, and the mood was carefree and festive. It was an enjoyable afternoon and I’m glad I made the last minute decision to go. The next time you visit Puerto Rico, make your way over to Loíza if you want a break from the typical tourist attraction and you don’t mind hanging with the locals. But be sure to practice up on your Spanish. You just might need a word or two. 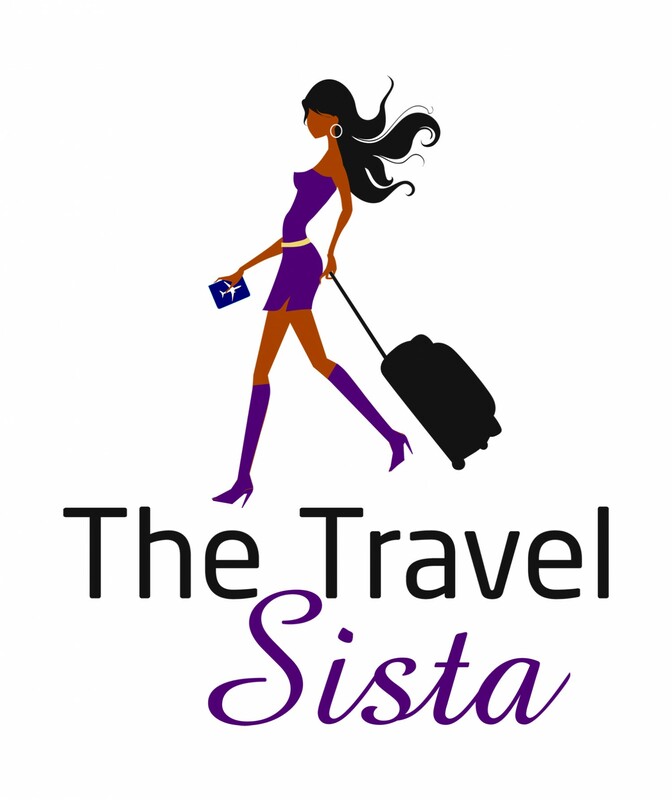 Do you have an Off-The-Beaten-Path tale? If so, please share it below.